Languages: Danish. English is widely spoken throughout Denmark to a very high standard. The Faroe Islands and Greenland both have native tongues which are spoken along with Danish. Religions: The Evangelical Lutheran Church is the state church. About 80% of Danes belong to it. There are small numbers of other Christian denominations. It is estimated that Muslims constitute about 3-4% of the population. Venstre (Denmark’s Liberal Party) - The largest party in Denmark with 47 seats in parliament. It is led by ex PM Lars Løkke Rasmussen. Social Democrats (Socialdemokraterne) -The party has 44 of 179 seats in parliament. It is led by PM Helle Thorning-Schmidt. Danish People’s Party (Dansk Folkeparti) - The party has 22 seats in parliament. It is led by Pia Kjærsgaard. The Social Liberals (Det Radikale Venstre) - The party has 17 seats in parliament. It is led by Margrethe Vestager. Socialist People’s Party (Socialistisk Folkeparti) - The party has 16 seats in parliament. It is led by Villy Søvndal. Conservative People’s Party (Det Konservative Folkeparti) -The party has eight seats in parliament. It is led by Lars Barfoed. Greenland and the Faroes: two parties from each country have four seats in the Danish Parliament, three of which support the current Government. Membership of international groups/organisations include: United Nations (UN), European Union (EU), North Atlantic Treaty Organisation (NATO), Nordic Council, World Trade Organisation (WTO), International Monetary Fund (IMF), World Bank, Organisation for Economic Co-operation and Development (OECD), Organisation for Co-operation and Security in Europe (OSCE), Council of Europe (CoE), Council of the Baltic Sea States, Arctic Council, Antarctic Treaty. -- Denmark has the oldest monarchy in the world, starting with Gorm the Elder who was King from 900AD. -- Denmark is made up of a peninsula (Jutland) and 406 islands, many of them linked by bridges including the 13.4 km long Great Belt Bridge. -- The world's oldest amusement park is Bakken (The Hill) north of Copenhagen, which opened in 1583 and still operates today. -- The highest point in Denmark called the Himmelbjerg (Sky Mountain) is only 180m above sea level. Government finances: The general government deficit was 4% of GDP in 2011, and forecast at 5.5% for 2012, and 2.6% for 2013. Major Industries: Agricultural products, grains, meat and dairy, fish, beer, oil and gas, home electronics, furniture and fashion. Natural resources: North Sea - oil and gas, fish. Greenland - fish, zinc, lead, molybdenum, uranium, gold, platinum. The Faroe Islands - fish, petroleum, natural gas, salt, limestone, stone, gravel and sand. 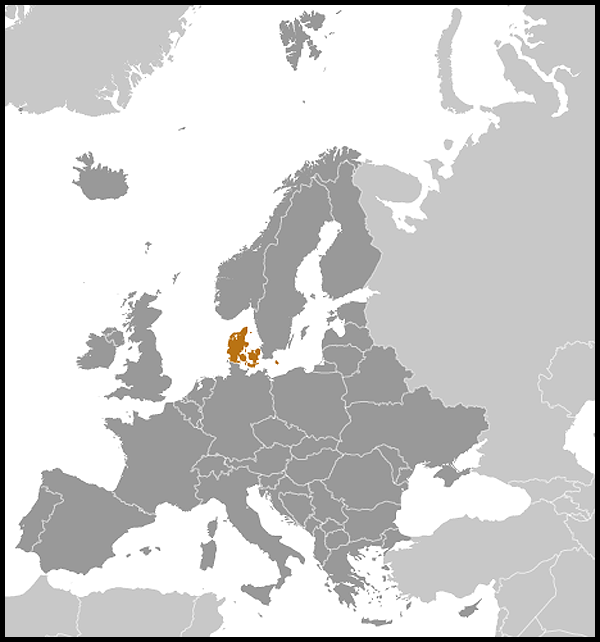 EU Membership: Denmark joined the EU in 1973, at the same time as the UK. Greenland and the Faroe Islands have chosen to remain outside of the EU. Monetary Unit: The Danish Krone, which is is pegged.to the Euro. Denmark was unified under a Christian monarch in the 10th century AD. The Viking era (840-1100) included periods of rule over England; Canute’s reign united the kingdoms of Norway and England under the Danish Crown in the 11th century. In 1380 Denmark and Norway entered a union that was to last 400 years. In 1397 Sweden joined them in the Kalmar Union but broke away in 1523. The Peace of Copenhagen in 1660 ended Danish conflict with Sweden, which had become the dominant Baltic power, and in 1665 the Danish monarchy was made hereditary and autocratic. Trade and commerce thrived in Denmark during the peaceful conditions of the 18th century. The latter half of the century was a period of reform and growing Danish nationalism. During the Napoleonic Wars, in which Denmark was allied with France, Britain attacked Copenhagen twice: once in 1801 over a dispute of neutral shipping and again in 1807 to prevent the sizeable Danish fleet falling into Napoleon’s hands. The Treaty of Kiel in 1814 ended Denmark’s union with Norway. Following a rise in the liberal and national movement, Denmark peacefully became a constitutional monarchy in. In 1864, after the Second War of Schleswig, Denmark was forced to cede Schleswig-Holstein (the south of the Jutland peninsula down to Hamburg) to Prussia. 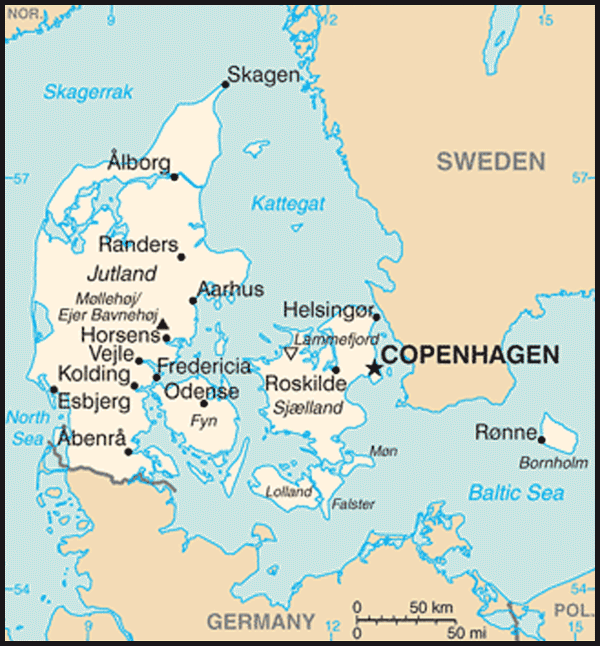 The area was returned to Denmark in 1920 following a plebiscite. The modern political system began to develop in the late nineteenth century and in 1901 (the 'System Change') Denmark established its first fully representative parliamentary government. During the First World War Denmark remained neutral, although they laid mines across the Baltic Sound under Nazi. In 1940 Germany occupied neutral Denmark. Iceland and the Faeroes were occupied by British forces. The King remained in Denmark and the Danish Government remained in being, under German authority, and this aspect of Denmark’s war record has been controversial, including within Denmark. Eventually German demands became intolerable, the government collapsed, and from 1943 the Germans ruled directly and increasingly brutally as Danish resistance developed. Denmark was occupied until almost the end of the war, being liberated by the British on 5 May 1945. Denmark was one of the founding members of the United Nations in 1945 and NATO in 1949. In 1952 Denmark founded the Nordic Council with Iceland, Norway and Sweden, to which Finland acceded in 1955. In 1953 Denmark adopted its present constitution and abolished the Upper House (Landsting). In 1957 it renounced the stationing of nuclear weapons 'in present circumstances' but withheld support for a Nordic Nuclear Weapon Free Zone. In 1959 Denmark became a founder member of EFTA but left to join the EEC (following unsuccessful applications in 1961 and 1967) in 1973. Iceland broke away from Denmark, gaining Home Rule in 1918 and Independence in 1944. The Faroes, 18 islands in the North Atlantic, are self-governing, achieving Home Rule in 1948. Greenland, geographically part of the North American continent, was granted self-government in 1978, formally withdrew from the Common Market in 1985, and gained further autonomous competences with the Home Rule Act of 2010. Denmark retains responsibility for foreign policy, monetary affairs and defence in the Faroes and Greenland. Denmark co-operates closely with its Nordic neighbours, formally in economic and social matters through the Nordic Council of Ministers and informally in political matters through direct consultation and regional groupings. Denmark has also been active in international efforts to integrate the countries of Central and Eastern Europe into the West. It played a leadership role in co-ordinating Western assistance to the Baltic States (Estonia, Latvia, and Lithuania) and supporting their accession to the European Union. Danish wider foreign policy is founded upon four cornerstones: the United Nations, NATO, the EU, and Nordic co-operation. Denmark is also a member of the World Bank and the International Monetary Fund; the World Trade Organisation (WTO); the Organisation for Security and Co-operation in Europe (OSCE); the Organisation for Economic Co-operation and Development (OECD); the Council of Europe; the Nordic Council; the Baltic Council; and the Barents Council. Denmark emphasises its relations with developing nations and contributes at least 0.8% of GNI as official development assistance (0.91% of GNI in 2010). The country is a strong supporter of international peacekeeping. Danish forces were heavily engaged in the former Yugoslavia in the UN Protection Forces (SFOR and KFOR), and remain deployed in Kosovo. They are also deployed in Afghanistan and were in Iraq. Denmark has been a member of NATO since its founding in 1949, and membership in NATO remains highly popular. The relationship between the UK and Denmark is close, both bilaterally and within multi-lateral organisations such as the EU and NATO. Approximately 50,000 Danes live in the UK and 13,000 UK citizens live in Denmark. Queen Margrethe II is a cousin of HM Queen Elizabeth II. The British Council in Denmark encourages exchanges between Britain and Denmark in the arts, education, science and society. It focuses on events that encourage the development of networks of people and which provide participants with opportunities to share experience and expertise in key priority areas: Britain in Europe, social inclusion and diversity, and the environment, including climate change. -- Cities: Copenhagen (population 1.08 million in Greater Copenhagen). Other cities - Aarhus (242,000), Odense (166,000), Aalborg (102,000), Esbjerg (71,000). -- Terrain: Low and flat or slightly rolling; highest elevation is 173m (568ft). -- Climate: Temperate, with an average of 7.7 degrees centigrade. January and February are the coldest months, average temperature 0 degrees centigrade, and August the warmest at plus 15.7 degrees centigrade. The trading relationship between Denmark and the UK is strong and friendly. Denmark is highly dependent on foreign trade. Trade between the UK and Denmark, in each direction, is approximately £5.7 billion annually, with Denmark having a a slight trade. The stock of Danish inward investment to the UK is approximately US$100bn, and there are approximately 1,100 Danish companies operating in the UK today; such as Novo Nordisk, Arla, Vestas, Carlsberg and DONG Energy. UK Trade and Investment in Copenhagen primarily finds opportunities in the following sectors: renewable energy, life sciences, ICT and food and drink. The Danish Government plans to boost spending on infrastructure. 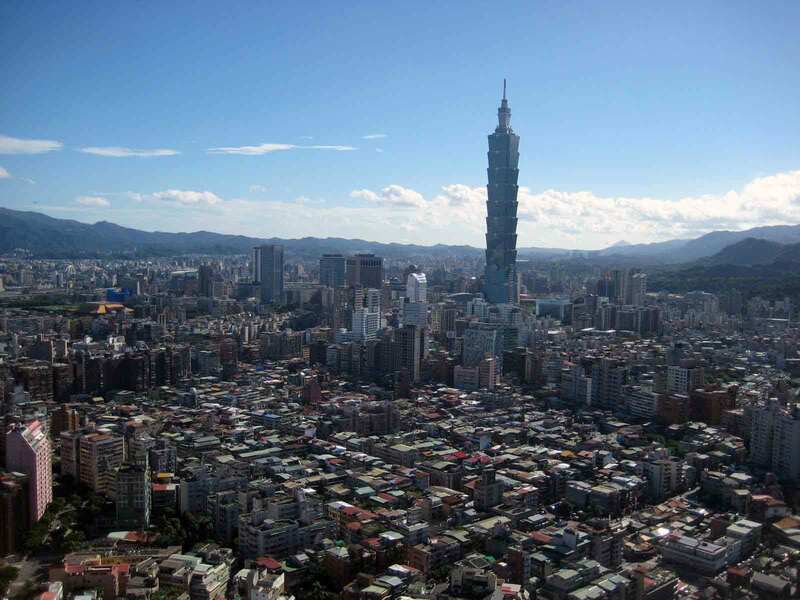 Improvements in the subway systems in major cities during 2008-2012 are expected to cost US$2.4 billion. Denmark is a constitutional monarchy: Queen Margrethe II has ruled since 1972. The 179 members of the Parliament (Folketing) are elected by proportional representation with a 2% threshold. Two are elected from the Faroe Islands and two from Greenland. The electoral system usually leads to a large number of parties being represented in Parliament, and to coalition governments. The Social Democrats have dominated post-war politics, but the right-of-centre parties governed from 1982 until January 1993 and again from 2001 to September 2011. The present Government is a Social Democratic led coalition. The Faroe Islands and Greenland enjoy home rule, with the Danish Government represented locally by High Commissioners. These home-rule governments are responsible for most domestic affairs, but foreign relations, monetary affairs, and defence fall to the Danish Government. Helle Thorning Schmidt became the Prime Minister of Denmark on September 15 2011, taking over from the liberal Prime Minister, Lars Løkke Rasmussen. Helle Thorning Schmidt leads a minority coalition Government consisting of her own Social Democratic Party, the Socialist People’s Party and the Social Liberal Party. Denmark joined the EU in 1973 but its membership has always been the subject of some domestic political controversy. In June 1992 the Danes voted against the Maastricht Treaty in a referendum, but voted in favour after a second referendum in May 1993, having been given 4 important exemptions (or 'opt-outs') to common EU policies in the areas of common defence, the single currency, EU citizenship, and Justice and Home Affairs. 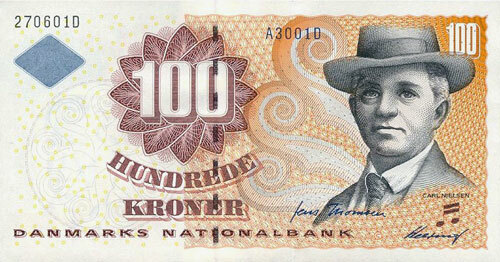 The Danes also voted against joining the Euro in September 2000. Denmark holds the EU Presidency for the first half of 2012.